There was a time when there were only a handful of fine-dining restaurants in Reykjavík and the only other options for eating out were hamburgers and fried chicken. Now, the options are endless, it seems, with new and chic eateries springing up like mushrooms all over the city. 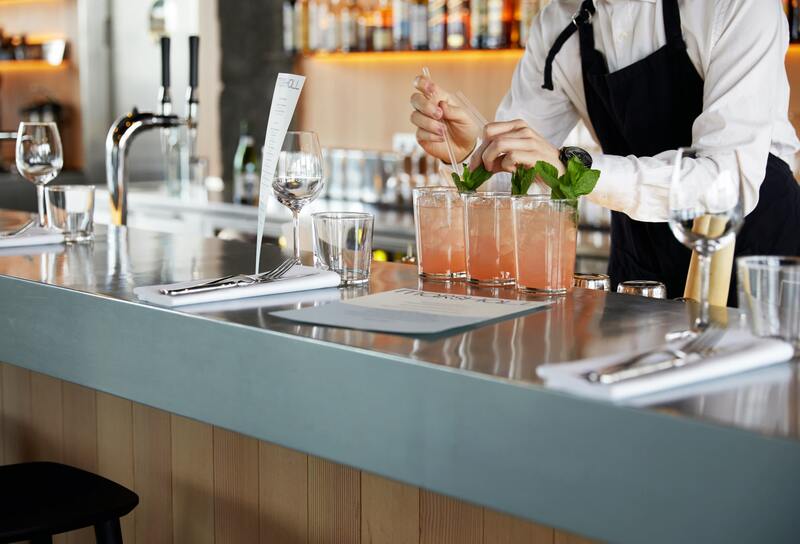 Whatever you fancy: French, Lebanese or Korean; gastropub, fusion or New Nordic, Reykjavík has it all (although you’d be hard-pressed to find a white tablecloth). Here’s our take on a few of the restaurants that are doing something special. Inside Dill, the windows are lined with glass jars, reminiscent of body parts kept in formalin in a mad scientist’s lab. Take a closer look and the jars prove to contain grains, fruits and vegetables, affirmed by their tags—apart from one, which reads: “Stop staring through the window!” A strange greeting from a Michelin-star restaurant. Inside, Pearl Jam is playing. 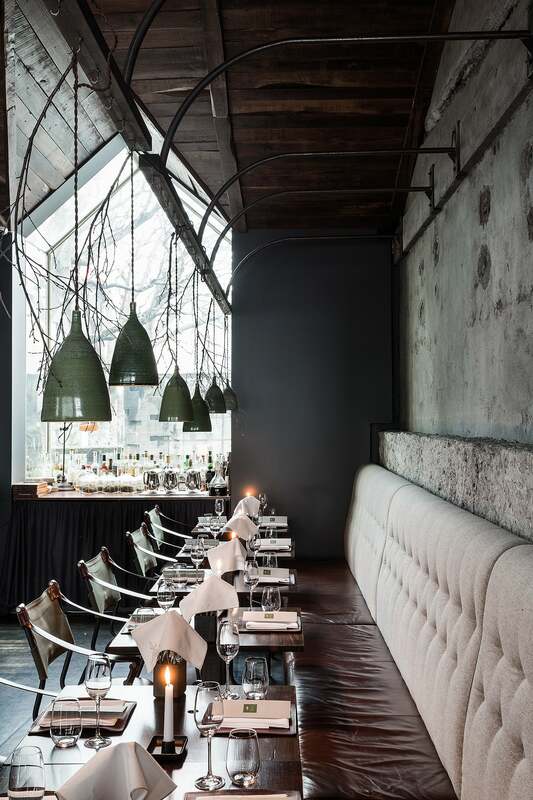 The grey concrete walls may have belonged to a barn—and indeed, there is grass on the menu! It’s clear that you’re in for an unorthodox experience in a relaxed atmosphere, peppered with humor. Choose five or seven courses, wine pairings or not. Simple. But the food, prepared and served by true professionals, is far from simple. In a sense, you do find yourself in a mad scientist’s lab. The grass turns out to be smoked hay, giving the dish of chicken and barley an extraordinary flavor, and another dish features rhubarb—cooked for (wait for it) 23 days! Possibly the best-kept secret of the Reykjavík food scene, tiny restaurant ÓX is actually hidden away in a back room of the larger (and totally different) Sumac. 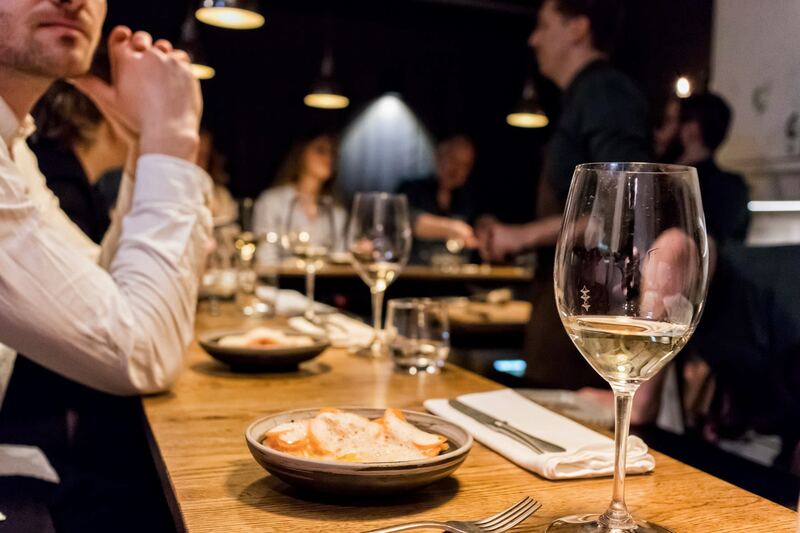 Seating a maximum of 11 people who all face the kitchen—with an interior made by the grandfather of the owner, chef Þráinn Freyr Vigfússon, in 1961—the guests converse with the chef and watch him perform his magic. Intimacy on a new level. Elegantly arranged on shells, stones and in small glass jars, the fantastic fusions of flavor with wines and beers to match are sure to leave diners stunned: Smoked egg yolks, pine tree oil and pickled unripened strawberries are only a few of the surprises. Dinner at ÓX is all about surprises; you book a ticket online without knowing anything about what kind of food will be served. Tune in to the party vibes as you start the evening with a colorful drink at Artson, Nostra’s cocktail lounge. Then choose between the bar menu, a la carte, or four-, six- or eight-course tasting menus with optional wine pairings. You can opt for a specific theme—meat, seafood, vegetarian or vegan (there aren’t many fine-dining options for vegans in Reykjavík)—or mix and match. At Nostra, they highlight seasonal Icelandic ingredients, and the garnish couldn’t be more local, as they grow it in their own greenhouse inside the restaurant! To me, the highlights of the evening are the cucumbers with goat cheese and a French-inspired dish of potatoes and mushrooms—sounds plain, yet the taste is everything but. Housed in an old pharmacy, the concoctions cooked up at Apotek’s cocktail workshop promise to cure all ails. The colorful courses— some bordering on psychedelic—are a flavorful fusion of Icelandic and European cuisines with a bit of South American sun to brighten up the dark Nordic winter. Carefully selected wines harmonize with the delightful dishes (I had never imagined that white wine could go with smoked lamb). Desserts from the restaurant’s very own patisserie are almost obligatory—if you’re feeling too full you can have them boxed up to save for later. 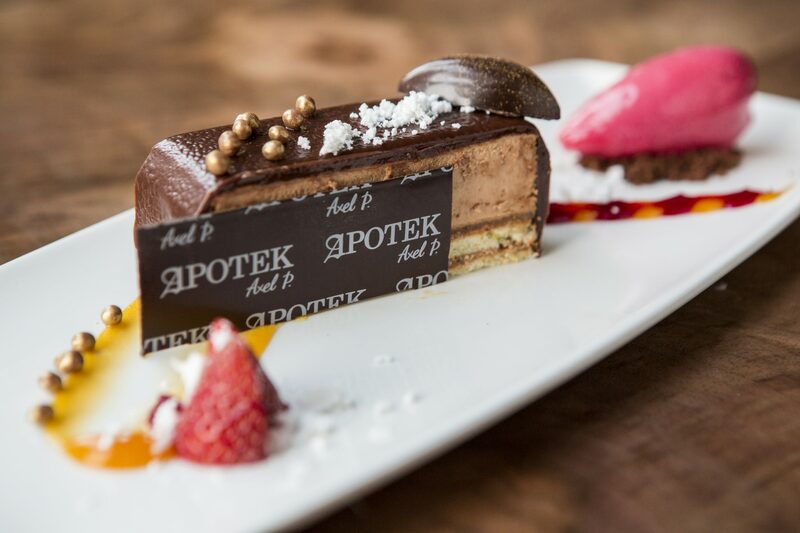 Apotek also offers lunch treats and high tea, not to forget happy hour at the bar. Watch out for pop-ups with guest chefs. Canopy by Hilton is probably the hippest hotel in Reykjavík. 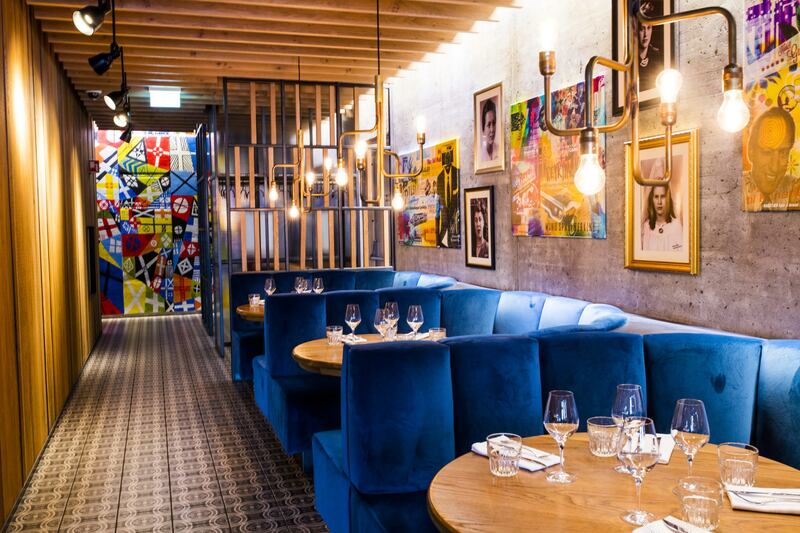 Equally hip is the 70s-style restaurant on the ground floor, named and themed after a hit song from that era. The black-and-white tiled floor, blue velvet chairs and mustard velvet drapes feel very retro, yet modern at the same time. In the open kitchen, chefs whip out curious creations. 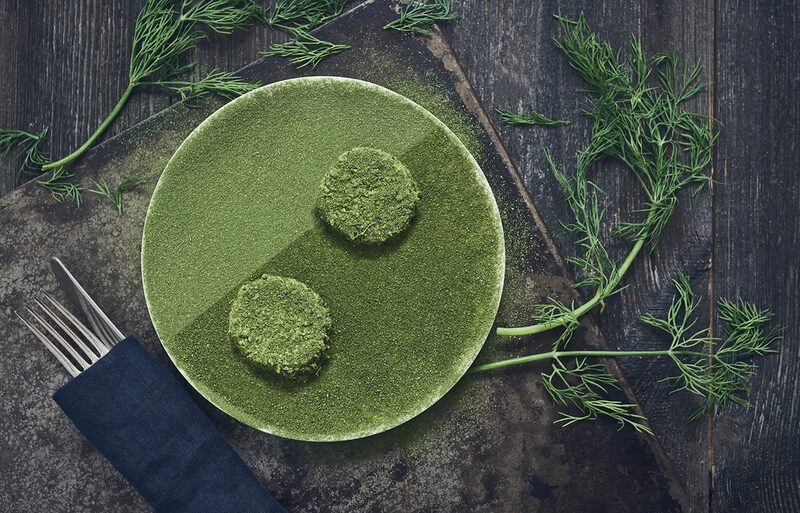 While the focus is on Icelandic ingredients, their creativity is not boxed in by national borders, and the menu includes French, Argentinian, Korean and Japanese influences. 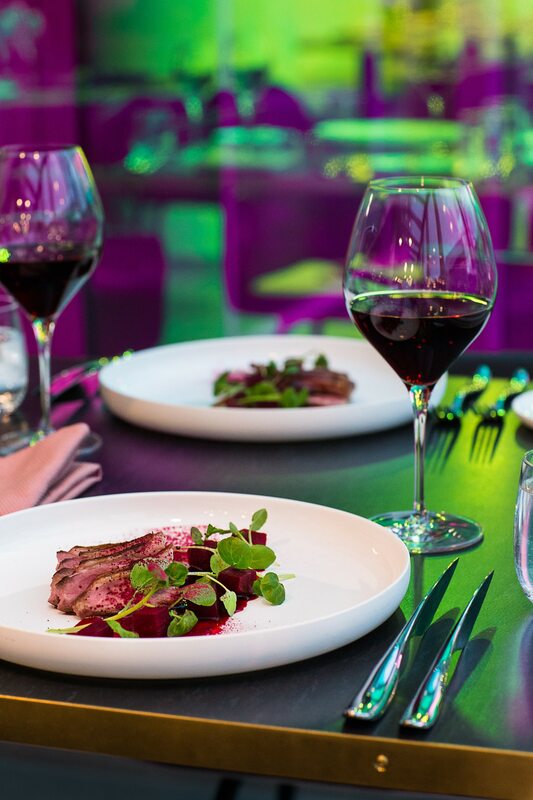 Uniquely, though, the dishes are paired with wines from cold-climate regions only. Bring the kids for brunch, lunch or dinner (six years and younger get one free course from the tempting children’s menu)—or get a sitter and show up for the happy hour at the cocktail bar. Upon entering, you get the sensation of stepping into history. Located in the Grandi harbor area in a former salt fish processing plant, the restaurant shares a building with the Saga Museum. Paying homage to Icelandic culinary traditions, the restaurant is named after the recipe book that came to be known as the Icelandic “food Bible”—a copy is on display by the entrance. The restaurant’s chefs study old recipes when composing the seasonal menus, comprising of traditional Icelandic dishes with a modern twist. Halibut soup is a staple, salted fish a regular and Icelandic goat cheese a newcomer. Bearing witness to head-to-tail cooking are the cod heads and lamb hearts—in the old days, food waste was unheard of. Icelanders may think dishes like the rye bread soup are unimpressive, but tradition never tasted so good; case in point: The twisted kleina doughnut with caramelized whey. Open for lunch and dinner, this Michelin Bib Gourmand restaurant is not to be missed. Another historical building at Grandi is Marshallhúsið. Built as a herring processing plant in 1948— partly financed by the Marshall Plan—it has now been resurrected to facilitate art museums and the studios of Icelandic-Danish designer Ólafur Elíasson. Visitors enjoy the view of Harpa, the concert center he dreamed up. The Marshall Restaurant + Bar rotates like the art shows. It started out as a subsidiary of SEO Kitchen in Berlin, offering a locally-sourced pescatarian and vegetarian menu, along with music, art and other events. In October, the restaurant metamorphosed into La Primavera, a favorite of the past Reykjavík food scene in operation from 1993–2011. Lovingly serving homemade pasta and treats from northern Italy, while making the most of Icelandic ingredients, La Primavera will run through January. After that, who knows? Icelandair's home base is Reykjavík, and we offer connections to 45 gateways in Europe and North America. Traveling across the Atlantic, you have the opportunity to add a stopover in Iceland at no additional airfare.